Humor & Home Sales: What's the Connection? Selling real estate requires a unique combination of skills. Not only must realtors know everything there is to know about the homes they're selling and the neighborhood those homes reside in, they must understand the tangled process of financing a home purchase. On top of that, they need tremendous people skills, in order to attract buyers, understand what their needs are, identify the best properties for them, and provide support and encouragement through the home buying process. Humor is one of the most essential - yet seldom discussed - tools the real estate agent has at his or her disposal. The realtor who knows how to use laughter to begin relationships sells more homes. I saw a great example of this on Twitter this morning (Thanks, @sjsincanada!) 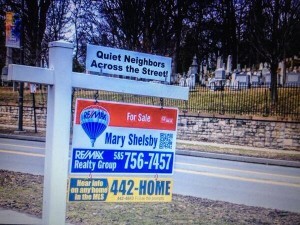 There are plenty of people who'd shy away from buying property near a cemetery - blame it on too many late night horror shows or cultural traditions that are uncomfortable with the idea of being too close to the departed - but with a humorous twist, this agent turned a potential negative into a positive. Additionally, the laugh may be enough to make people driving by give the home a second look - and if they like what they see, it's a lot easier to pick up the phone and make a call. Using humor removes barriers to communication. People who use humor as part of their presentation are less intimidating, and therefore more approachable, than someone who has a stern, all-business-all-the-time affect. 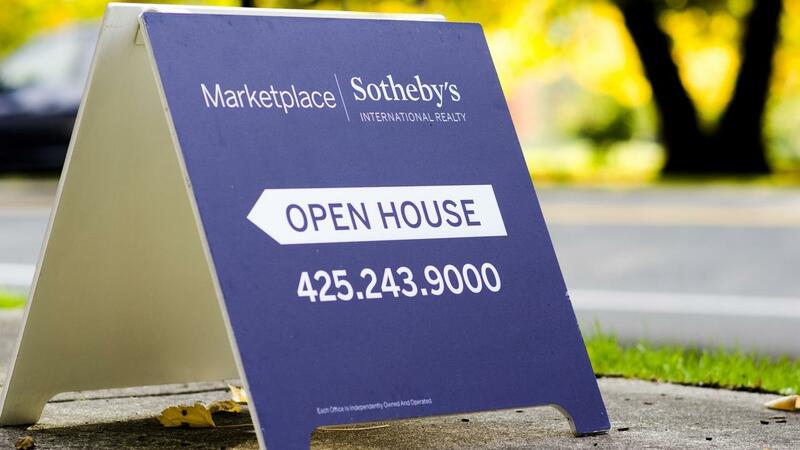 You don't want potential home buyers to be afraid to contact you. Look for opportunities to use humor as a door-opener; a way to ease people into doing business with you. If you can make someone laugh, you can help them find the right home. It's as amazing -and amusing! - as that.